Our first #SOCAL Open Day is this Sun. 5/1 in the #Pasadena area! 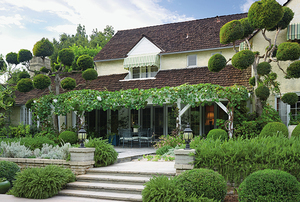 Meet and greet with many of the garden designers, including Judy Horton at the garden of Merrill & Donivee Nash (pictured). 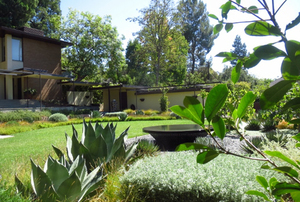 Start your tour at the La Casita del Arroyo Garden on Sunday, May 1 between 9:30 a.m. and 3:30 p.m., where discounted tickets and maps to all of the Pasadena area gardens will be available. 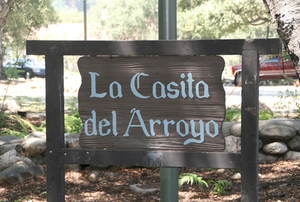 Admission to La Casita del Arroyo Garden is free. Note: In one location, the Open Days Directory lists the Pasadena Area Open Day on a Saturday. The correct day is Sunday. 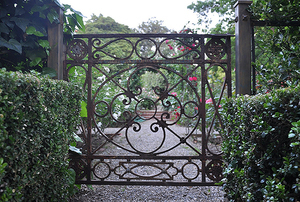 Admission to each private garden is $7. Don’t forget to buy discounted admission tickets in advance. They never expire and can be used at most Open Days to make garden visiting easier. Nonmembers get one ticket free. 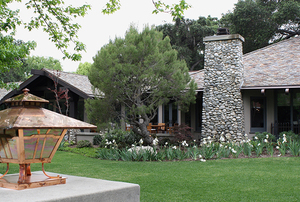 Start your Pasadena tour here on Sunday, May 1st between 9:30 a.m. and 3:30 p.m. 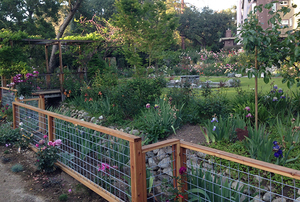 Discounted tickets and maps to all of the Pasadena area gardens will be available. Otherwise hours are year round, daily, dawn to dusk. Owned a massive 45.8 million shares in Apple at the end of 2015 (FactSet). Sold his entire position in the gadget maker on concerns of its uncertain future in China. This couple owns $1 million in Apple Stock. Even at the trading average at the sale, Icahn most likely made a pretty nifty profit. Calculating that 45.8 million shares at say $95 = $4,351,000,000, that is over $4 billion! This will weigh down Apple stock which has been battered after 13 years with positive growth now turning down and expert sentiment that at least the next quarter will also result in downward sales. Shares of Icahn Enterprises (IEP) have plunged 33% over the past year due to bad bets on oil-related companies like Chesapeake Energy (CHK) and Freeport-McMoRan (FCX), according to USA Today. The question is how will Apple fix this? Could we see Apple stock in the $50 range? Perhaps it will hit $75, but $50 would mean massive loss in stock valuation and investors most likely would start a massive sell off which could present a buying opportunity, but could also cause issues for investors, many why hold large positions of Apple stock. AT&T is making slow progress to implement robocall blocking for its customers. Tell AT&T’s CEO to step it up and make robocall blocking a priority. Your campaign to End Robocalls has caught fire, and phone companies are paying attention. Because of you and the half-million consumers who joined our EndRobocalls.org campaign, AT&T has started to make it easier for some of their customers to access robocall-blocking tools. But we know that’s not enough. We need AT&T to set the gold standard and provide 100% of its customers with free and effective tools to block robocalls. Tell AT&T CEO Randall Stephenson: Help your customers block robocalls immediately! Even if AT&T isn’t your primary phone provider, they’re an industry leader with millions of customers nationwide. Pushing them to act could create a domino effect that leads to action by your phone provider. While providers like Time Warner Cable have started offering free call-blocking tools to all of their voice customers, Randall Stephenson, CEO of AT&T, has been happy to let his customers deal with the headache. Together, we have over 600,000 voices that AT&T can’t ignore. Join us. AT&T, start offering robocall blocking protection right now. CDF is a registered 501(c)(3) non-profit organization. You can buy discount tickets to the expo from Groupon and Goldstar. Discover New Products and Ideas! All CDF National Conference Packages include access to the EXPO Hall on Saturday and Sunday. EXPO Hall Only Tickets are also available. Sample the best & newest gluten-free products on the market… plus so much more! Karen Klemens, owner of Mother Moo in Sierra Madre is expanding to South Pasadena. Look for a formal announcement coming soon. Offerings will include ice cream, coffee & espresso, pie, muffins, scones, sandwiches, soup, and other surprises. We understand the location will be where Buster’s is located. Buster’s sold last month. Three sisters, Reneé and Colette Richards, and Monica Barry, owners decided its time to move on after 30 years, according to South Pasadena Now. We are saddling up our cow to hoof it to South Pasadena. We are over the Moooooon and look forward to scooping at our Moo on Mission location. 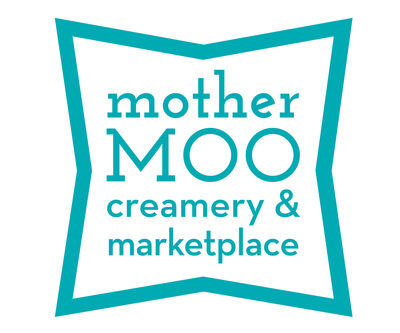 #coming soon #southpasadena #icecream #pie #mothermoo — at Mother Moo Creamery. Image from Karen Klemen’s facebook page. Open Studios AltaPasaDena, Presenting A Gift Of Art With Our Neighbors – Come Curious, Leave Inspired! 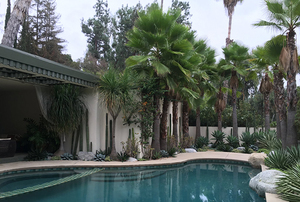 The Open Studios Tour is a Free Tour of the home studios of local artists in the Altadena and Pasadena area. During this tour, the artists open their studios to people to come in for a visit. Open Studios is an intimate view into an artist’s domain, where ideas are conceived and come to life. When you visit an artist’s studio, the creative process is palpable. It’s unique to each artist and unattainable at your typical gallery show. That is, in essence, what makes this event so special. People of all ages love this self-guided tour, with the flexibility to visit with as many artists as you like over two days. We have found this casual format to be a wonderful exchange between artists and visitors. Note: for what it is worth, I tried to open an account and got to the “Review and Sign” page and hit submit and the page goes nowhere and if you call to speak to someone, be prepared to be on hold for a while. Thank you for applying for an account at GS Bank. An unexpected error has occurred while processing your application and we are unable to continue at this time. Please try again or call us toll free at 1-855-730-SAVE (7283) for assistance. Please reference ID xxxx when calling so we can better assist you. Apparently no confirmation, a complete waste of time, Goldman Sachs is obviously not ready for online banking when they can’t even process or confirm an online application. Give them a few months and try again. A new internet bank has launched from Goldman Sachs. Named GS Bank, the minimum to open an account is $1, interest rates start at 1% up to over 2% yield on certificate of deposits. You can open an account in less than 10 minutes. Regular $489.99 now only $299. Performance, value, comprehensive security. Finish tasks fast and help guard against threats with this easy-to-use multifunction laser printer. All-in-one functionality means this compact laser printer, scanner, and more is the right fit for the office. Print up to 25 pages per minute. This HP laser printer has a 50,000-page duty cycle. Grab your documents and go; this MFP prints the first page and two-sided documents faster than competitors. VegFest Los Angeles 2016 will be held on May 1st, 2016 at Woodley Park in Lake Balboa (San Fernando Valley). It’s all vegan! RSVP on our Facebook Event Page – Click Here! Guest Speakers: Rawvana, Freelee the Banana Girl, Durian Rider, Gene Baur, Steven Smith (Forks Over Knives), and more! Cooking Demos with PCRM, Mr. & Mrs. Vegan, and more! Live Bands including Nina & Randa, GrooveSession, the Turners, and more! We welcome attendees to a magnificent day filled with food, fun and inspiration. The combination of a delicious vegan international food court, great live music, empowering speakers on health, environmental, humanitarian and animal topics, kids’ activities, animal adoptions, an eco-marketplace with typically over 150 vendors, cooking demos and more, make for an an unforgettable earth-friendly experience that is sure to be enjoyable for all! Many of you may recognize us – we were WorldFest for the past 15 years. We’re back now as VegFest Los Angeles. A panel of intellectual property experts will discuss the many facets of IP that engineers and scientists encounter in different work settings. The panel will outline the importance of intellectual property protection for entities producing technology and the challenges and opportunities that IP provides to scientists working in startups, big companies, and academia and provide providing guidance on how to prepare for these challenge and opportunities. Here is a video message from the USPTO for the 2015 World IP Day featuring then USPTO Deputy Director, Russell Slifer: World IP Day message from USPTO. Come celebrate the Grand Reopening of Guitar Center Pasadena! Festivities start Saturday 4/23 at 10AM and continue through the weekend with doorbuster deals, giveaways + more! Over 19,000 square feet of guitars, drums, keys, dj, live sound and recording gear, plus Lessons, Repairs and Rentals! A Three Day Celebration of the Art of Monsters & Movie Magic with Over 200 Vendors, Award Winning FX Artists, Monster Museum, & more! April 22-24, 2016! Monsterpalooza April 22-24 at The Pasadena Convention Center. Celebrate the Art of Monsters and Movie Magic with MONSTERPALOOZA this April 22-24, 2016 as it STOMPS into all 100,000 sq. ft. of The Pasadena Convention Center! Since it’s inaugural event in 2009, MONSTERPALOOZA has become internationally known as the place to be for fans and professionals of film, makeup, special effects, collectible toys, art and monsters! Meet the award winning masterminds behind some of the greatest creatures ever created for feature films, television and the haunt industry as you get lost in the over 200 exhibitors selling one of a kind creations, LIVE makeup demonstrations and more only found at Monsterpalooza! Each Monsterpalooza event features dozens of special celebrity guests from the world of Horror, Science Fiction, and Fantasy. Past guests have included actors from film franchises such as Alien, Fright Night, An American Werewolf in London, Godzilla, Ed Wood, Night of the Living Dead, Superman and MANY MORE! Monsterpalooza 2016 is the must see event in Southern California! •Where is The Pasadena Convention Center? •Is there an official hotel for Monsterpalooza? Yes. The official host hotel for Monsterpalooza is The Westin Pasadena. To book your special rate hotel room, please call The Westin at (626) 792-2727 or visit our website www.monsterpalooza.com and click the hotel tab. •What are the hours of Monsterpalooza? •Should I get my tickets in advance? YES! We highly recommend purchasing your tickets for Monsterpalooza in advance. Tickets will not be physically mailed to you. Please print them out or have them ready for scanning on your cell phone. Tickets purchased in advance will be processed as “WILL CALL.” Once checked in at the door, you will recieve a wristband(s) for entry. •Are tickets available at the door? Upon purchasing your ticket, you will receive a wristband for entry. Monsterpalooza is family friendly. Children 10 and under are admitted free. •What can I buy at Monsterpalooza? Monsterpalooza features Hollywood’s biggest talents selling their creations that in most cases can only be found at our show. Exhibitors sell products such as one of a kind masks, hyper-realistic sculptures, costumes, props, collectibles, toys, model kits, makeup, supplies, prosthetics, celebrity autographs, DVD’s, apparel, and much more! The show is perfect for fans of all genres as well as industry professionals. •What can I see at Monsterpalooza? Besides an exhibitor hall of over 200 incredible artists, the massive show floor features creatures coming to life right before your very eyes via live makeup demos by award winning makeup artists, many of which are responsible for bringing your favorite characters from film, television and haunt attractions… Enter the famous Monsterpalooza Museum, an atmospheric walk through experience displaying full sized creatures, hyper-realistic sculptures, screen-used props, monsters and animatronics by the world’s most talented creature creators… Stop by the Monsterpalooza Theatre for hours of panels and presentations featuring your favorite film stars, directors and artists… AND MUCH MORE! •Is __________ scheduled to appear all three days of the show? All celebrity guests are scheduled to be at Monsterpalooza all weekend, unless otherwise noted on our website www.monsterpalooza.com. •Can I come in costume? -All costume weapons MUST be peace bonded. -No functioning weaponry allowed on premises. -Replica guns, rifles, etc. MUST have orange tips and must be immediately identifiable as fake. -All sharp knives, swords, machetes, etc. MUST be sheathed at all times. -No chains in chainsaws and no gasoline permitted. -Weapons may not be brandished or pointed at anyone. *Monsterpalooza and The Pasadena Convention Center staff have the right to deny entry to anyone who does not follow these guidelines. The U.S. Treasury has decided to put African American abolitionist Harriet Tubman on the front of the new $20 bill. Former president Andrew Jackson, will be moved to the back of the bill, Treasury officials said Wednesday. The new $20 bill along with other changes to US currency are already in progress. Harriet Tubman was an African-American abolitionist. She rescued approximately seventy enslaved families using the Underground Railroad. She died in 1913, at age 91. Sad news today regarding the closing of the Arroyo Food Co-Op Market. Items will be sold to clear out and return the keys to the owner, who apparently is in the process to begin construction on the property. It is with a heavy heart, and deep regret, that we must announce the end of the road for the AFC market. Our financial challenges are more than we can overcome. Our income has been declining for the last few months, and the cost of doing business has not. This, coupled with our urgent need to relocate, and the extra expenses that relocation would bring, has forced us to make the painful decision to close the Arroyo Food Co-op market. Our relocation fundraising efforts resulted in around $5000 in donations, and we give thanks to those who stepped up to keep us rolling – too many names to list here, but you know who you are, and you did far more than your share in trying to make this venture a success. Our loyal shoppers also did their share, making us their go-to spot for all sorts of better-for-the-planet goods, and we salute you for putting your grocery money where your heart and soul knew was best. this is the time to use them up. We will continue to operate while we liquidate our inventory, so stock up on your favorites while we have them. We will continue, for a while, to re-stock on some dairy and produce items, to make your trip worth your while. If you would like to pre-order Mark Stambler’s fabulous breads, please do so – but we will not place any stocking orders with him, so the only Pagnol bread will be reserved for pre-paid customers. Our goal is to wind down operations in the next few weeks, so we can hand the keys back to the landlord at the end of May. We will make further announcements as things develop. More than 100 players are set to attend, including Cowboys receiver Dez Bryant, Kansas City Chiefs running back Jamaal Charles, Atlanta Falcons receiver Julio Jones, Chiefs safety Eric Berry, Carolina Panthers cornerback Josh Norman, Cowboys tight end Jason Witten, Green Bay Packers receiver Randall Cobb, Arizona Cardinals quarterback Carson Palmer and Jacksonville Jaguars tight end Julius Thomas. The ultimate fantasy weekend as the players and analysts will engage with the fans, conduct interviews and participate in a number of events and exhibits. Main events include The Ultimate Fantasy League. Six attendees will have their fantasy become reality as they join a fantasy football league with six NFL stars, with the draft, and all 12 owners, hosted live on stage. Expert Draft Show allows fans unparalleled insights as the experts engage in a live fantasy draft and roundtable discussion, all on the main stage. Fantasy Combine and the EA Sports Game Tunnel with Madden tournaments. The Fantasy Football Hall of Fame will honor retired NFL stars, inducting them into the Fantasy Hall of Fame. Please note: the Expo Pass only gives you access to a limited number of things in the Expo Hall. For the full NFFC experience, including player interaction opportunities, Training Sessions, parties, and more, you’ll need to purchase the Field Level or MVP pass. Visit www.GoNFFC.com for more details. Follow on Twitter at @GoNFFC. Signaling System 7 is vulnerable and 60 Minutes with the help of hackers in Germany was able to demonstrate this live on national TV. With shocking details about how the government doesn’t want to fix the vulnerability, because it allows governments to utilize the vulnerability. Link to watch the 60 Minutes segment. How easy is it to hack a phone call and listen in? Is this happening on a daily basis? How long have calls been exposed to the SS7 vulnerability? Most are shocked to learn of this vulnerability. The Apple official WWDC site still shows 2015 info dates. The company said stores will remain open until at least April 29 to accommodate gift cards and rewards certificates. Sales at locations have already started, 10 percent is the current sale, discounts will increase as the closing dates grow closer and locations close. The last location to close could be the La Canada location. The original location was moved. Customers with gift cards, rewards certificates and store credits are asked to use them at a Sport Chalet location before April 29. On April 16, 2016, Sport Chalet announced that all stores will close, with April 29 being the last day for customers to use gift cards and store credits, and that online merchandise sales had already been stopped. Pasadena is opening soon and filling up fast! Schedule a meeting with our team to learn more. Come join celebrate the Grand Opening of the TOM’s NEW Pasadena location on April 21, 2016! You are officially invited to a day filled with good food, good people, fun activities and more! And, don’t forget to enter our #SavorTheDay Pasadena Instagram Contest! All entrants can show their contest entries during the Grand Opening and receive a FREE TOM’s Classic Hamburger. So, enter the contest and show up during the Grand Opening and you get a TOM’s Milkshake and Classic Hamburger on us — that’s pretty much a free meal! Just another way for us to show how excited we are to be a part of the Pasadena community! View the details of our #SavorTheDay Pasadena Instagram Contest HERE. TOM’s Family Restaurants is the Best Family Restaurant and Best Drive-Thru Restaurant in SoCal! View our full menu HERE and see what everyone is raving about! With 22 convenient locations (and one coming soon in Pasadena! ), you’re never too far away from a TOM’s Family Restaurant. To find the TOM’s location nearest you, click HERE. Stop by on April 21, 2016 at TOM’s Pasadena for our Grand Opening! Don’t forget your TOM’s $2.00 Off Coupon HERE. Print it out and enjoy TOM’s at an even better price. Please note that the coupon cannot be combined with any other coupon or discount and is NOT valid on limited time only specials. Looking forward to seeing you at the Grand Opening, TOM’s Nation!